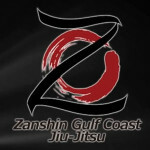 Welcome To Zanshin Gulf Coast Jiu-Jitsu! Zanshin Gulf Coast Jiu-Jitsu is a Gracie Jiu-Jitsu academy located near the beautiful Gulf Coast beaches in the heart of Mobile, Alabama. We’re a member of the Zanshin Jiu-Jitsu association led by Eric Silver, who is a black belt in Gracie Jiu-Jitsu earned under the instruction of Rickson Gracie. 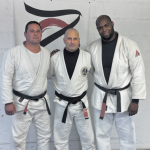 Zanshin Gulf Coast Academy owner and head instructor, Corey Richardson, has been studying Gracie Jiu-Jitsu since 2005. He personally leads all classes at the academy, teaching his students the practical leverage-based tactics and strategies of Gracie Jiu-Jitsu and its underlying philosophy. The world’s best fighters have Gracie Jiu-Jitsu in their repertoire because it’s the world’s best self-defense system. Click on the banner below to find out why. At Zanshin Gulf Coast Jiu-Jitsu Academy, we teach students of all skill levels and ages. Gracie Jiu-Jitsu is a self-defense system designed to work for people of any stature, big or small. So, no matter your age, size, or level of fitness, you can learn Gracie Jiu-Jitsu. But you’ll learn more than self-defense at our academy. We’ll teach you to heighten your sense of awareness, so you can spot and avoid dangerous situations. You’ll also increase your fitness level, shed extra pounds, and look and feel great. And your friends will notice you walking taller with the new confidence you’ve gained after just a few classes. When you join our academy, you’ll get all these things in a family-friendly and relaxed environment. Click on the banner below to learn more. New Years’ Special Offer – $99 for One Month of Unlimited Self Defense Training!